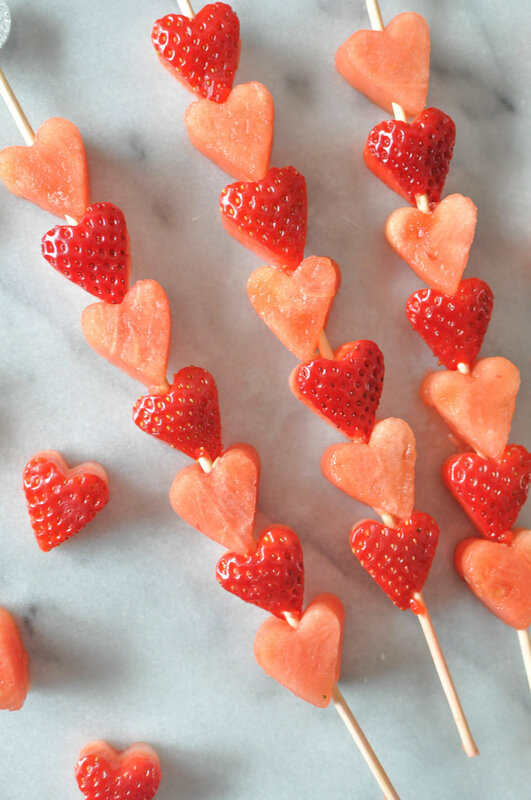 Are you in need of a healthy snack for Valentine's Day? These ridiculously cute and easy watermelon and strawberry skewers are quick to make and fun to eat! All you need are some skewers, a heart shaped cookie cutter, a few cups of strawberries, and a small watermelon and your in business. I have this set of small cookie cutters which I've ended up using quite a bit. I think it's really fun to cut cheese into shapes when I make myself an adult lunchable. I also use them when I make pies - I like cutting out a bunch of stars from pie dough and layering them across the top of the pie to create a pretty crust. Recently, I've started cutting fruit into shapes for my breakfast smoothie bowls, which is what got me thinking about some heart-shaped healthy skewers for Valentine's. I think it would be fun to do some other colors of hearts and I'd recommend trying out honeydew, pineapple, cantaloupe, or dragonfruit to get a fun assortment! A ridiculously easy and healthy Valentine's Day treat! 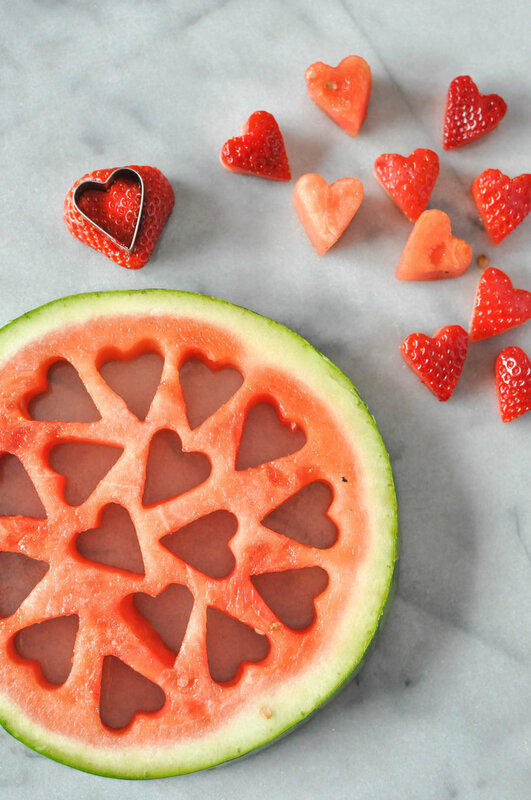 Cut the watermelon and strawberries with a heart-shaped cookie cutter. Thread the watermelon and strawberries onto a skewer.